Driven by booming demand for new data center services for mobile platforms and cloud computing, shipments of micro servers are expected to more than triple this year, according to research firm IHS iSuppli. 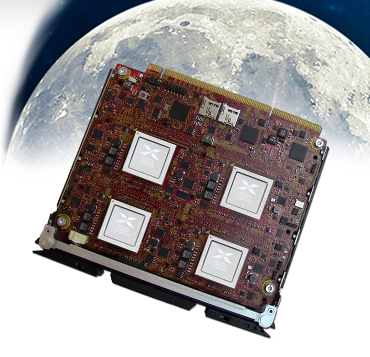 Shipments this year of micro servers are forecast to reach 291,000 units, up 230 percent from 88,000 units in 2012. Shipments of micro servers commenced in 2011 with just 19,000 units. However, shipments by the end of 2016 will rise to some 1.2 million units. The penetration of micro servers compared to total server shipments amounted to a negligible 0.2 percent in 2011. But by 2016, the machines will claim a penetration rate of more than 10 percent — a stunning fifty-fold jump. Micro servers are general-purpose computers, housing single or multiple low-power microprocessors and usually consuming less than 45 watts in a single motherboard. The machines employ shared infrastructure such as power, cooling and cabling with other similar devices, allowing for an extremely dense configuration when micro servers are cascaded together. “Micro servers provide a solution to the challenge of increasing data-center usage driven by mobile platforms,” said Peter Lin, senior analyst for compute platforms at IHS. Micro servers are not the only type of server that will experience rapid expansion in 2013 and the years to come. Other high-growth segments of the server market are cloud servers, blade servers and virtualization servers. The distinction of fastest-growing server segment, however, belongs solely to micro servers. The compound annual growth rate for micro servers from 2011 to 2016 stands at a remarkable 130 percent — higher than that of the entire server market by a factor of 26. Shipments will rise by double- and even triple-digit percentages for each year during the period. Given the dazzling outlook for micro servers, makers with strong product portfolios of the machines will be well-positioned during the next five years — as will their component suppliers and contract manufacturers. A slew of hardware providers are in line to reap benefits, including microprocessor vendors like Intel, ARM and AMD; server original equipment manufacturers such as Dell and HP; and server original development manufacturers including Taiwanese firms Quanta Computer and Wistron. Among software providers, the list of potential beneficiaries from the micro server boom extends to Microsoft, Red Hat, Citrix and Oracle. For the group of application or service providers that offer micro servers to the public, entities like Amazon, eBay, Google and Yahoo are foremost. 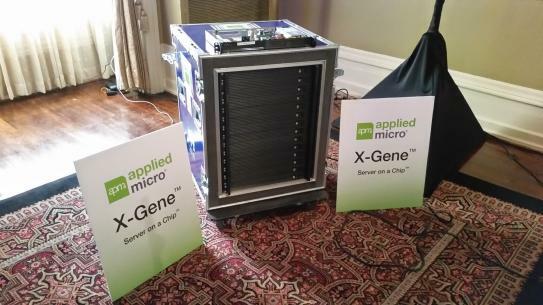 The most aggressive bid for the micro server space comes from Intel and ARM. Intel first unveiled the micro server concept and reference design in 2009, ostensibly to block rival ARM from entering the field. ARM, the leader for many years in the mobile world with smartphone and tablet chips because of the low-power design of its central processing units, has been just as eager to enter the server arena — dominated by x86 chip architecture from the likes of Intel and a third chip player, AMD. ARM faces an uphill battle, as the majority of server software is written for x86 architecture. Shifting from x86 to ARM will also be difficult for legacy products. ARM, however, is gaining greater support from software and OS vendors, which could potentially put pressure on Intel in the coming years. What’s a nice core like ARM® doing in a place like this? IEEE held their annual fest for uber-techies at SuperComputing ’12 this week in Salt Lake City. With over 8000 attendees flocking to the snowy site in spite of the economy and impending fiscal cliff, this event has become a mecca for anyone seeking the next great technology in computing hardware for serious work. In the old days, it was all about (Tera)Flops and Fortran. These days it is about Big Data, hardware acceleration, interconnect fabrics, storage, and green computing. Wandering around in the massive exhibit hall, one could see name badges from companies like eBay, Amazon, Peer One Hosting, and Dreamworks, right alongside the traditional attendees from leading universities, National Labs, and the Departments of Defense and Energy. So, what’s a little core like ARM doing in a place like this? Its all about the data. “Data Intensive Computing” in HPC is pronounced “Big Data” in the enterprise. And the two communities have another thing in common: both are seeking more energy efficient solutions to large computations challenges. So naturally, they are turning to ARM with great hopes for the future. Barry Evans, Calxeda CEO and co-founder, has been invited to speak at the upcoming Cloud Fab, GigaOM Structure, in San Francisco on June 20. If you have never been to Structure, it is the industry’s premier event for advancements in Cloud Computing hardware and software innovations, with a list of speakers from some of the industry’s movers, shakers, and entrepreneurs. Barry will be on a panel with AMD’s Andrew Feldman (formerly CEO of SeaMicro) and Guido Appenzeller, CEO of BigSwitch Networks. Their panel is titled “Inside the data center: it’s all about the fabrics”. This is a hot area. AMD’s acquisition of SeaMicro, and Intel’s acquisition of fabric assets from Cray, have recently piqued interest from around the industry. As we move from the age of the “Clock Wars” to the age of the “Core Wars”, and now to the age of the “Efficiency Wars”, the cluster and datacenter interconnect fabric and software-defined networking are emerging as the source of the next series of breakthroughs. Calxeda will also have live hardware running in our booth at the show. Come by to for a demo of OpenStack and other Cloud infrastructure running on Calxeda-based hardware from the industry’s leading system vendors. If you would like a discounted ticket to attend Structure, Calxeda can help you out. Go to our website, where you will find a link to obtain a discount code for 25% as a friend of Calxeda!